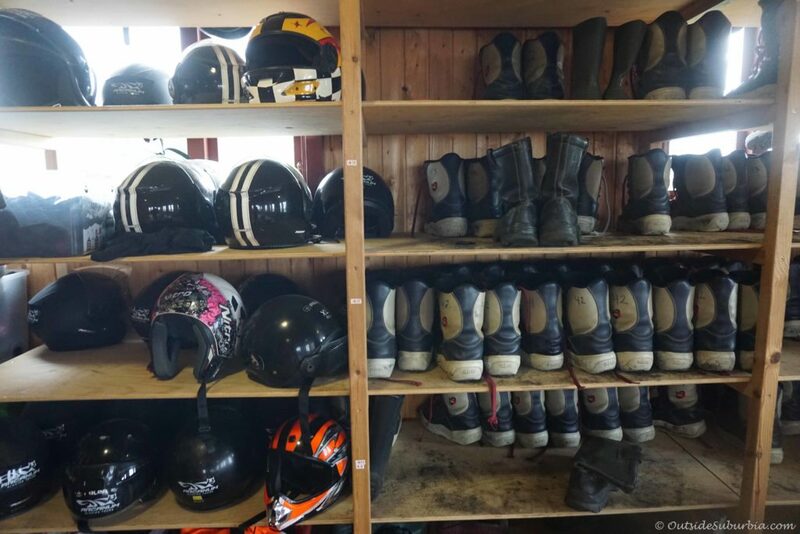 When I was looking at activities for our family to do in Iceland, hiking and snowmobiling on a glacier are the two things that caught my attention right away. 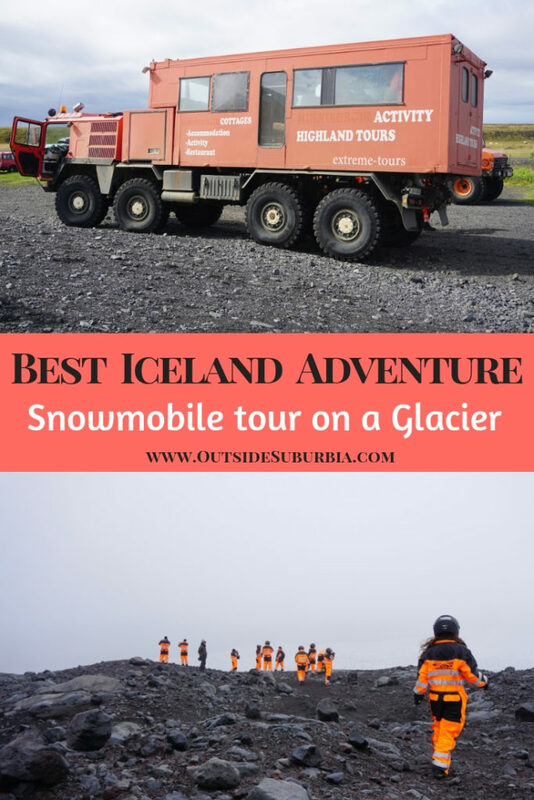 We were in Iceland to escape the Texas heat after all, so any activity on a Glacier sounded fascinating, so I signed up with Arcanum Glaciers! 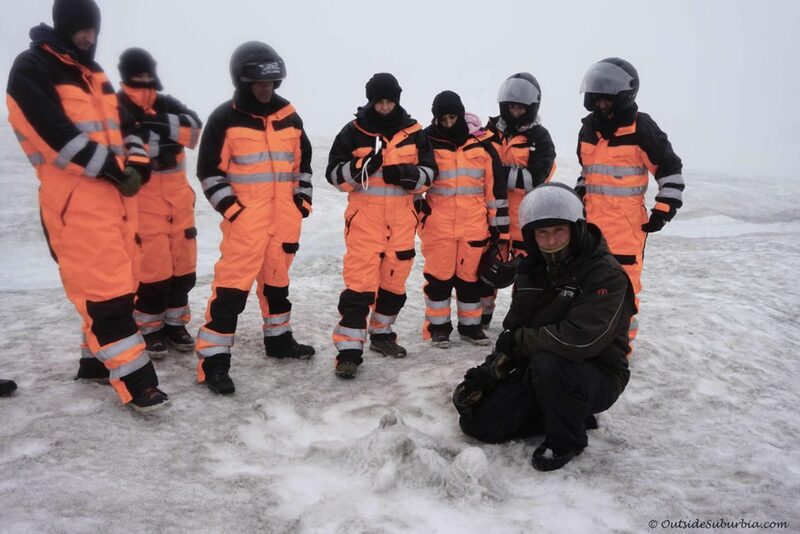 “While the south Iceland is certainly spectacular from “below” nothing beats experiencing it from “above”, snowmobiling on top of Mýrdalsjökull glacier – an icecap covering one of Iceland’s largest volcano, Katla.” promised Arcanum. We were on a self drive road trip around Iceland and drove up to the base camp of Arcanum which is few kilometers after the famous Skógafoss and about 25 km before you reach the town of Vik, on the South coast of Iceland. We took the Road 222 from the Ring road or Route 1, to the camp. After a short briefing and dressing up in a snow suits and helmets we stepped into a super jeep and we drove up the mountain to the glacier. Just the snowsuits and the ride in the souped up Jeep made us feel we were heading to the moon. After crossing a river and a bumpy 20 minute ride in our Lunar-esque truck we reached the tongue of the glacier. 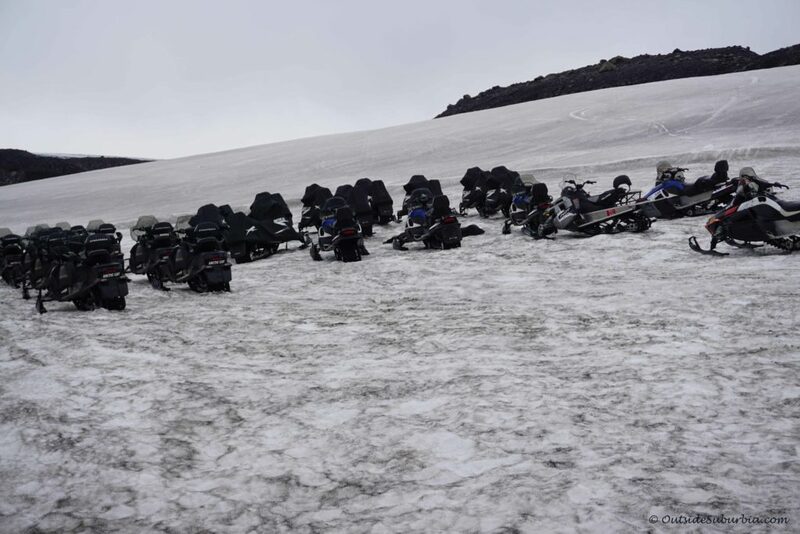 Our snowmobiles were waiting for us there at the tip of glacier Mýrdalsjökull. Its ok if you can’t pronounce the name of the glacier, neither can we! Just know the word jökull, means glacier or ice cap. Katla – the super volcano, covered by the Mýrdalsjökull ice cap is one of the largest active central volcanoes in Iceland, . The volcanic system, including Mýrdalsjökull area and the fissure swarm, Eldgjá, northeast of it, is about 30 km wide in its south-western part, narrowing gradually to the northeast and reaches a length of 78 km. The caldera, Katla, is located under the ice cap and is about 100 km2 and 700 m deep, filled with ice. The Katla volcanic system is famous for numerous subglacial eruptions. In the Katla volcanic system, 21 eruptions are known in historical time. The last eruption in Katla occurred in 1918. The total amount of tephra (fragmental material produced by a volcanic eruption) produced in that eruption has been estimated to have been around 700 million m3 and the glacial outburst flood (jökulhlaup) about 8 km3. Eruptions in Eyjafjallajökull which is the glacier on Eyjafjoll, the volcano that erupted in 2010 are rare and relatively smaller than in Katla we learned. If you remember the volcanic ash in the air caused Air travel to be disrupted in North western Europe for about a week. Lets hope that Katla does not erupt anytime soon! 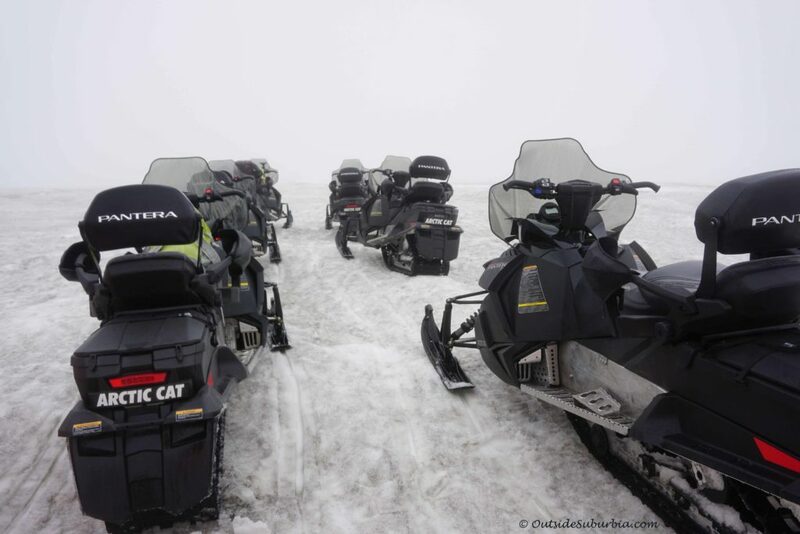 The Artic Cat snowmobiles we were going to be riding were pretty slick – the latest model that had heated handles and seats. We broke into pairs with the boys together on one snowmobile and girls on the other. 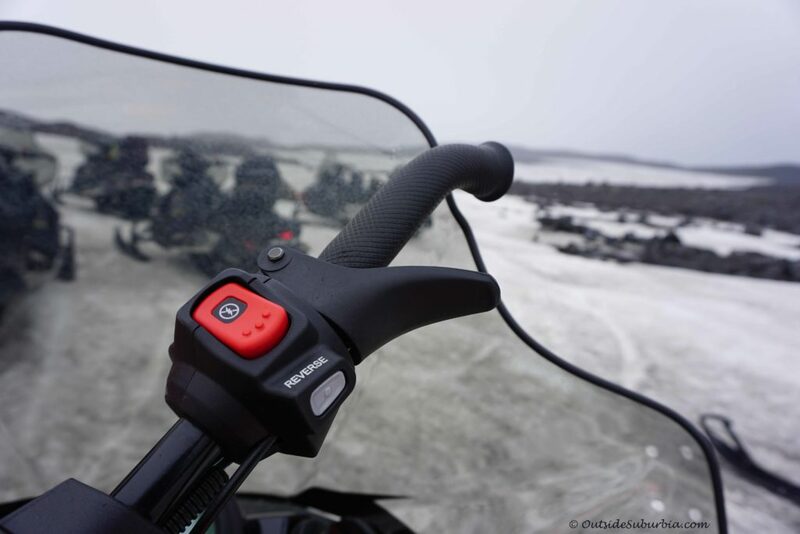 Riding the snowmobiles was not a problem – it was just a matter of squeezing the accelerator or the brake. But the weather was a problem, on our drive up to the camp it was raining and I called Arcanum a few times to see if the tour was cancelled or still on, sure enough it was – a little rain is not going to stop the Icelanders, they book tours to see the volcanos when there is any activity on the volcanos after all. These Viking descendants are not going to let a little rain stop them. When we got up to the glacier the visibility was not too bad, so we started our engines and followed our tour guide in a single file. We made our first stop after riding for about 30 minutes where our guide showed us the spots were several movies like Interstellar, Promethius and Oblivion was filmed. D was pretty fascinated by this point and was feeling like he was on top of the world, which he kinda was! 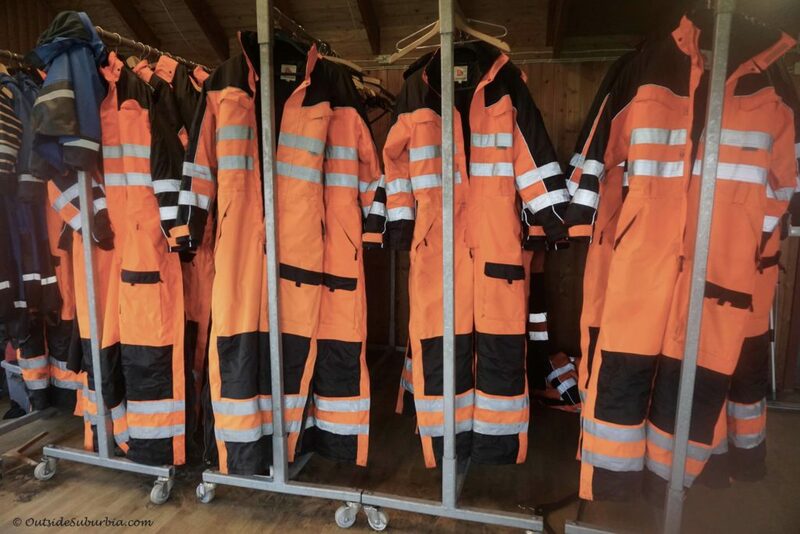 Our guide explained to us how if the Super Volcano Katla did erupt, the villages around her had about 2 hours to evacuate and they were equipped for it. Last time when Eyjafjallajökull erupted 800 people were displaced due to the aftermath but no lives were lost. 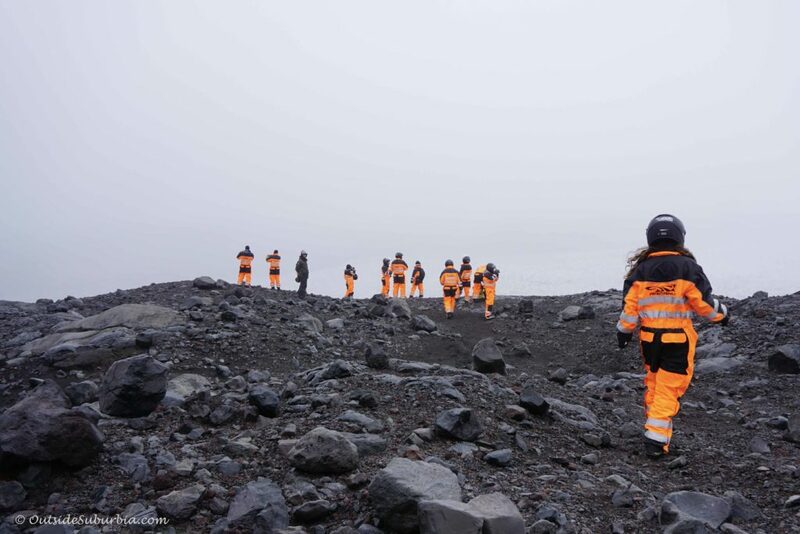 He also mentioned that scientists are actively monitoring the volcanos in Iceland and would be immediately alerted if they were seeing activity. 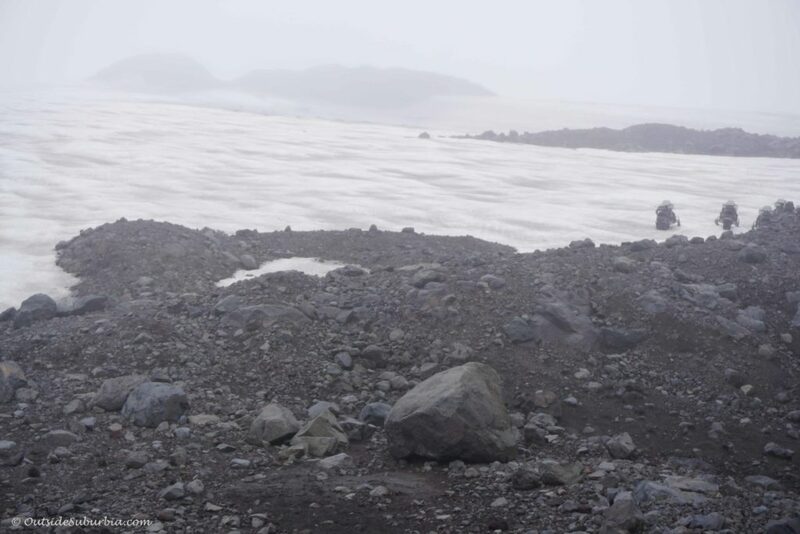 Jökulhlaups (glacier outburst floods) are more common in Iceland than anywhere else in the world because of the interaction of volcanoes and glaciers. 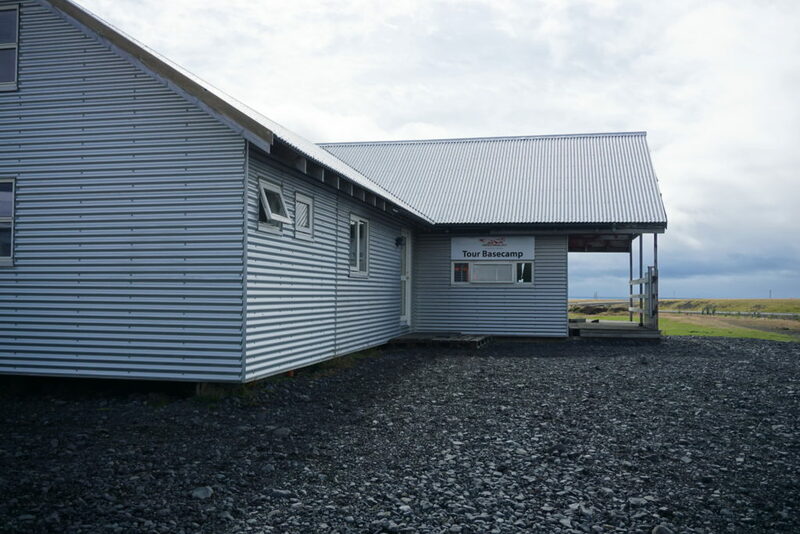 The warning system is operated by the Icelandic Meteorological Office that informs Civil Protection Authorities of impending floods or jökulhlaups. 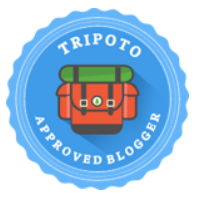 One my Instagram friends asked, If we were a tad bit jittery being around all those volatile volcanos! Being on the top of the volcano was thrilling and I’ll admit honestly a little scary… given that your time of evacuation is cut considerably since you have to ride that snowmobile back down if the volcano decides to have a bad day. 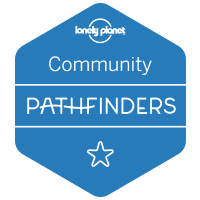 But no worries you are good hands, the Arcanum guides equipped with their radios and the necessary information, have all that covered. As we rode the snowmobile further into the glacier, the visibility was considerably reduced and I had to work harder to keep up with the rest of the snowmobiles in front of me. Our guide stopped frequently and made sure everyone in the group was accounted for, the neon orange suits served their purpose I suppose. 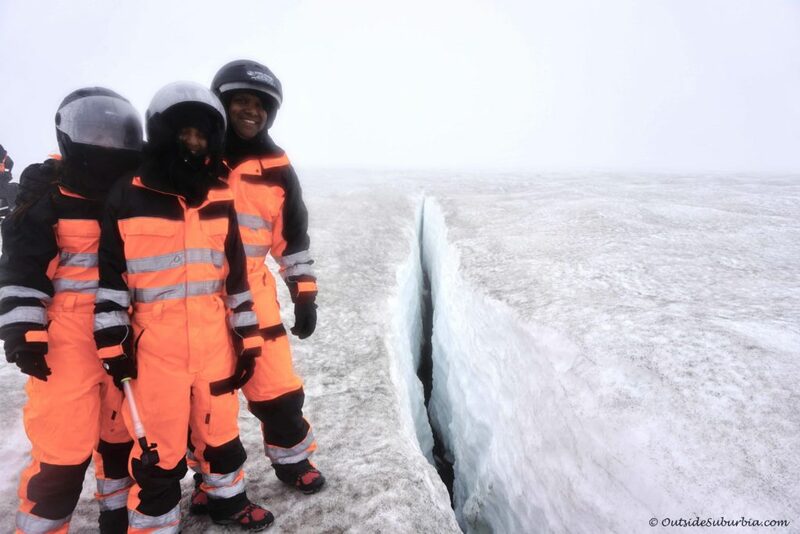 This time we stopped to look at a deep crevasse, our guide threw a snowball into the deep fissure, we never did hear it hit the ground – thats how deep it was. The ice down there was a deeper blue owing to the mass of ice. We rode for another half an hour back to the location where we started and took the Super Jeep back to the base. As we took our snowsuits and helmets off, we felt like we just came back from visiting another planet. 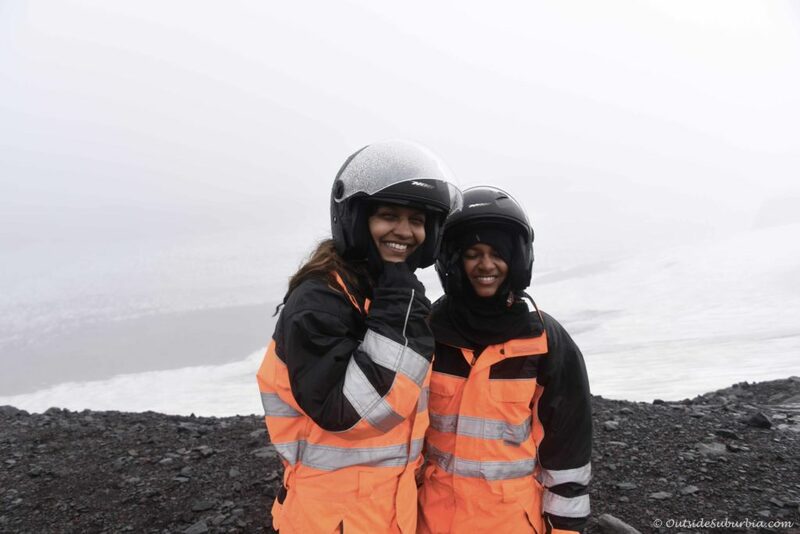 We have ridden snowmobiles in the US on snow before but nothing compares to the experience of riding one on an Ice cap on top of a volcano! We had plans to go on the ATV tour right after, but felt pretty drained and hungry after our adventure. We definitely want to go back to Iceland soon and do the ATV tour among other things we missed out during our first trip to this beautiful part of the world. 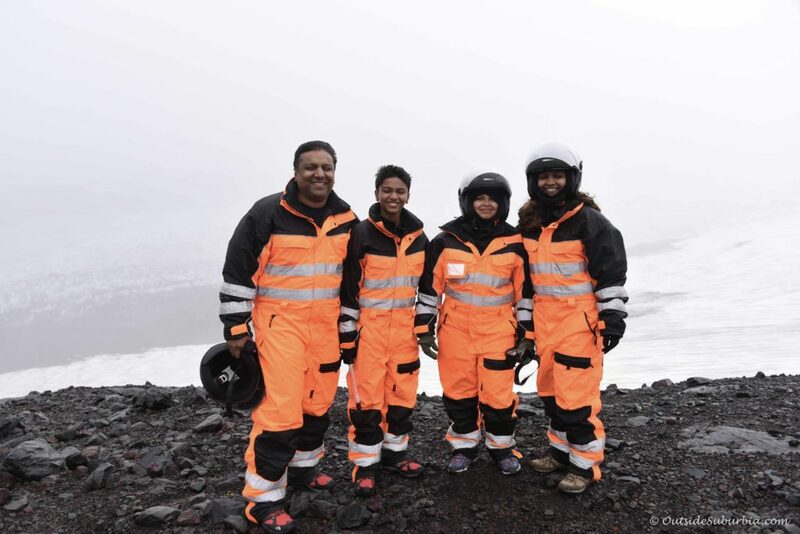 Riding the snowmobiles on the Mýrdalsjökull glacier was one of the highlights of our trip to Iceland. 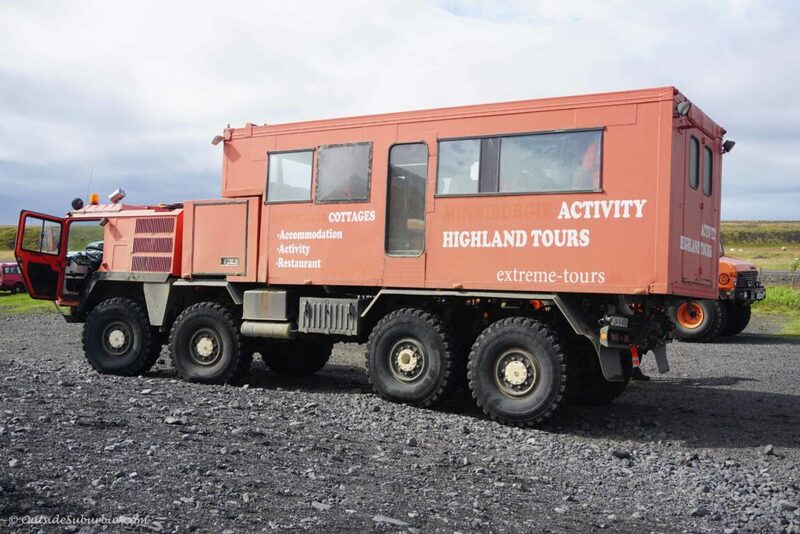 Conveniently situated at the foot of Mýrdalsjökull glacier, right off of the ring round – the tour company Arcanum is one of South coast’s best glacier experts, providing safe and responsible tours for 20 years from the same location. 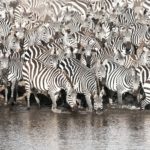 Arcanum guides are back-country experts with decades of combined experience in tours for individuals and groups. 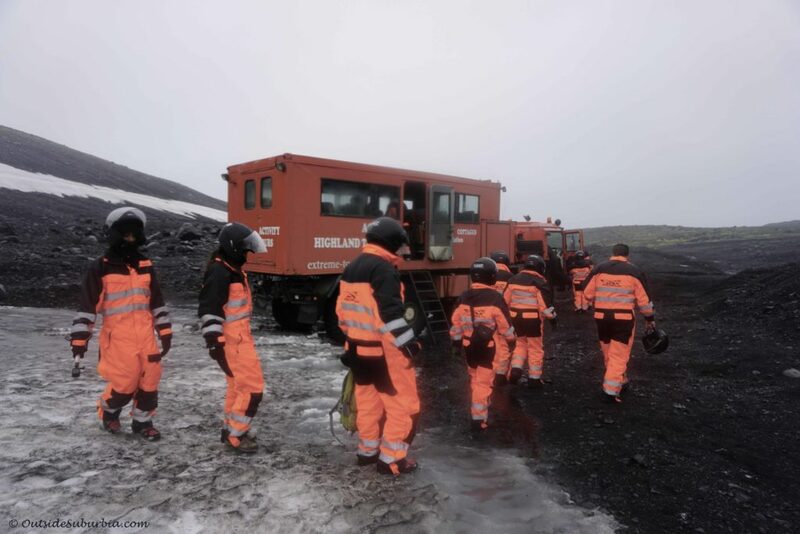 Arcanum offers a great selection of tours, ranging from snowmobile, super jeep and ATV tours to volcano tours and glacier walks. 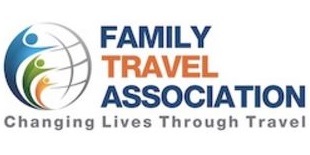 Tours are also available as day tours from Reykjavik. Bring warm layers, you will be on ice after all. And do bring proper hiking shoes, since you will be walking on ice. We had our hiking boots the entire time in Iceland. Invest in some good hiking socks, the ones with merino wool – the cotton one trap the cold and gets soggy when wet. We brought our own gloves, if you didn’t you can borrow some from Arcanum. They did have snow boots you can rent as well. 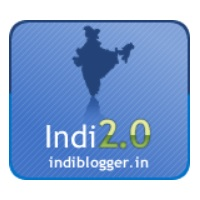 We were offered media rates for our tour but as always, the opinions and images are our own. This looks like so much fun! (And it must have been quite a big change after the Texas heat!) 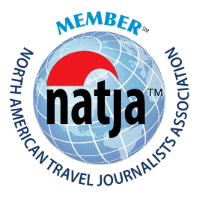 I’m dying to go to Iceland, and really hope I can go sometime next year – so thanks for the recommendation, I’ll definitely look into snowmobile tours! 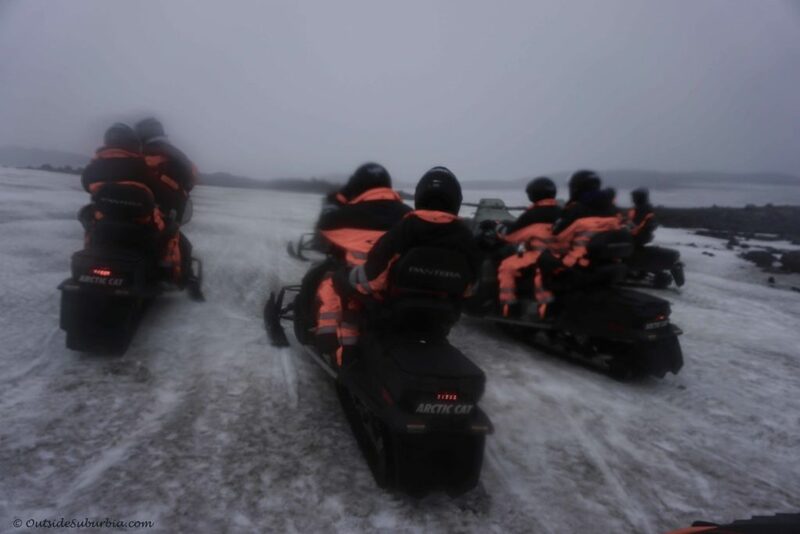 We haven’t been to Iceland yet, this snowmobile tour looks like so much fun! My teen daughter would definitely love to do this with us, I’m sure. 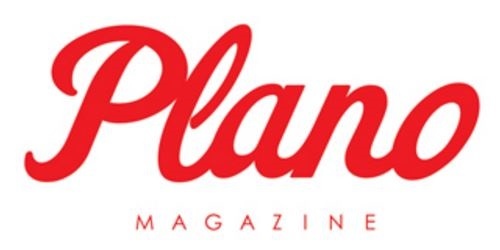 Love your photos. Thanks Brenda! My teenagers loved it, I’m sure she would too. So glad you gad a fab time! Iceland should rival New Zealand as the adventure capitol of the world! 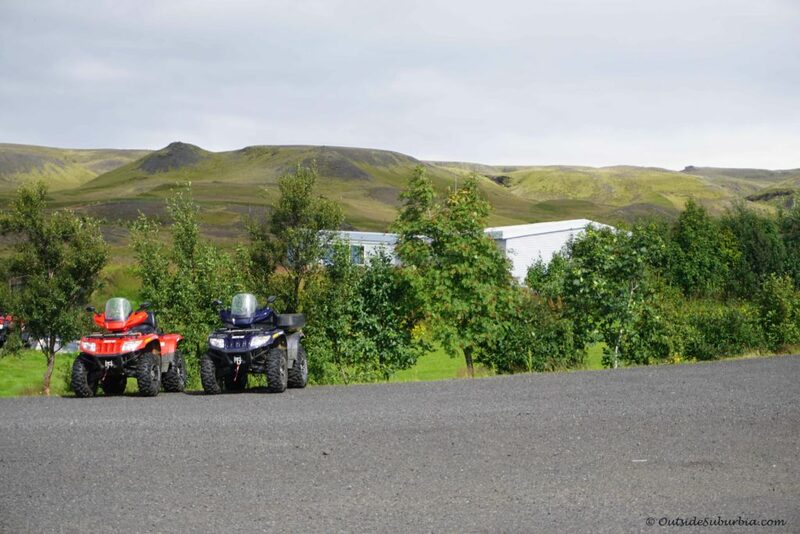 We visited Iceland in Summer, so took a back country ATV tour, but would love to head back and tackle the glaciers next! 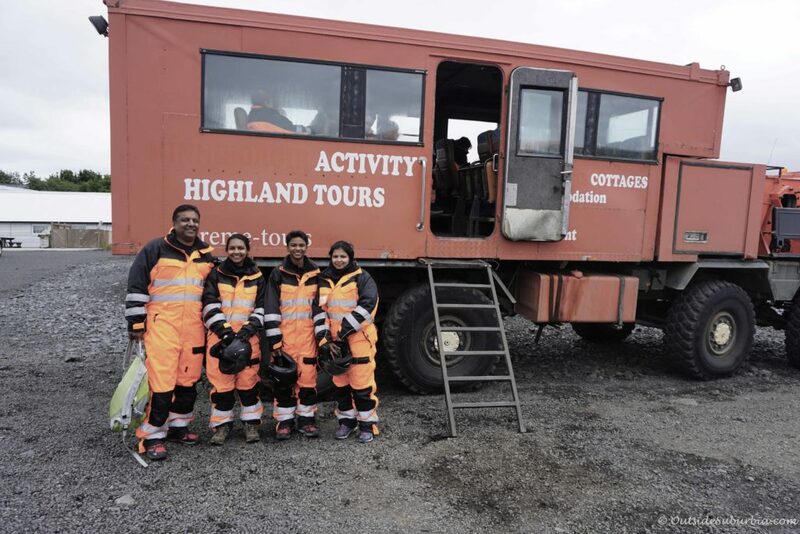 Thanks Meg, We had planned to do the ATV tour right after our glacier snowmobile tour but were pretty exhausted 🙂 Would love to visit New Zealand one of these days! Wow! For someone like me who’s only ever seen snow 2 or 3 times in my whole life, this looks like an alien universe!!! But it also looks like LOTS of fun – but it’s just as well Katla didn’t blow, haha! 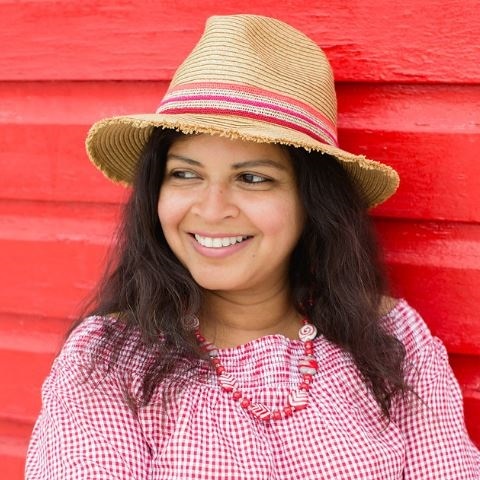 Marion Halliday (Red Nomad OZ) recently posted…See Australia Month-by-Month Part One: January to June Travel Teasers! This is awesome. Seriously, activities like these in a place like Iceland tops my bucket list! What a great experience!